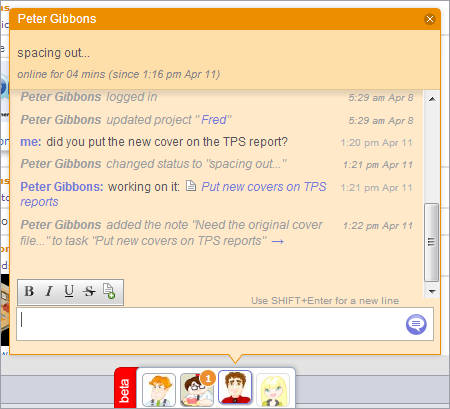 Social Toolbar is a great new addition to 5pm – you will see it at the bottom of your screen, outside the main interface. It allows you to see the team members that are logged into 5pm, check their status, history logs and even chat with them in real time! Previous post: New 5pm iPhone app (v2) released!